I don’t know about you but I’ve been operating with a personal list of holidays I celebrate for a while and it’s now bleeding into my nail art. 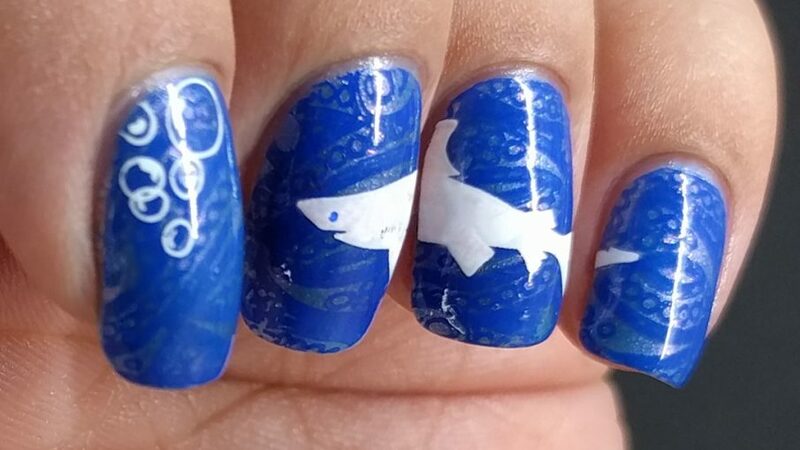 So I had to paint some shark nail art for Shark Week (July 22-29 in 2018). I was looking around without much luck for where I could fit it in and #AZNailArtChallenge had a Lace prompt. 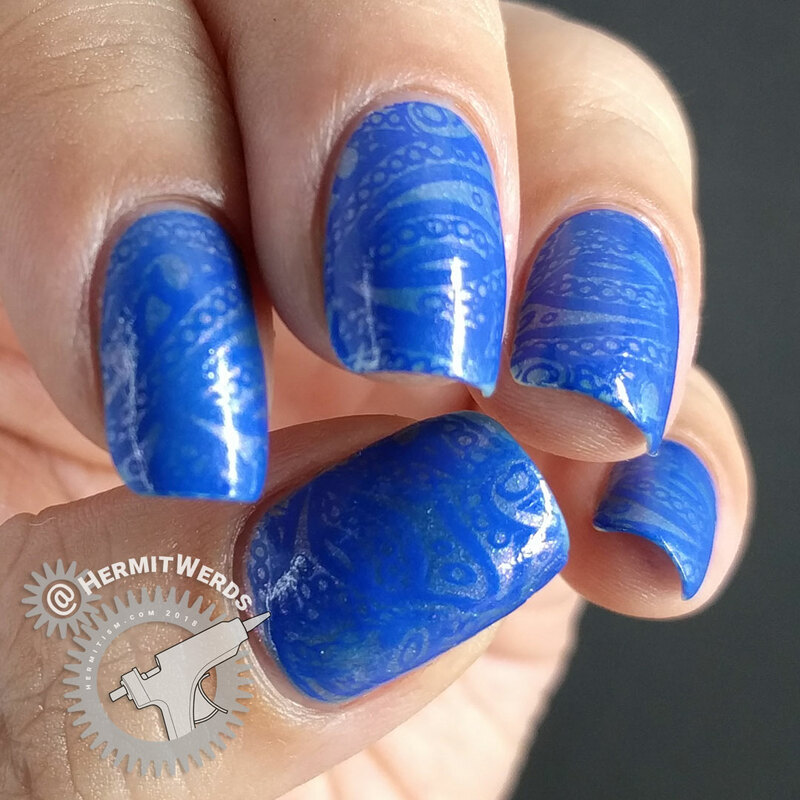 Well, we can make this work somehow, I thought and started poking through my stamping plate collection for a lace design that looked like water. 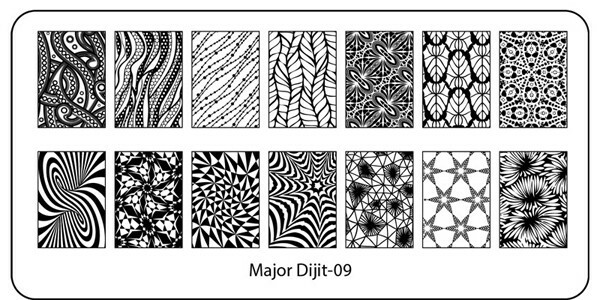 I had one stamping plate that fit the bill: Major Dijit-09. It even had two options on it! I recently received a big silicone stamper head from Beauty BigBang as a press sample. 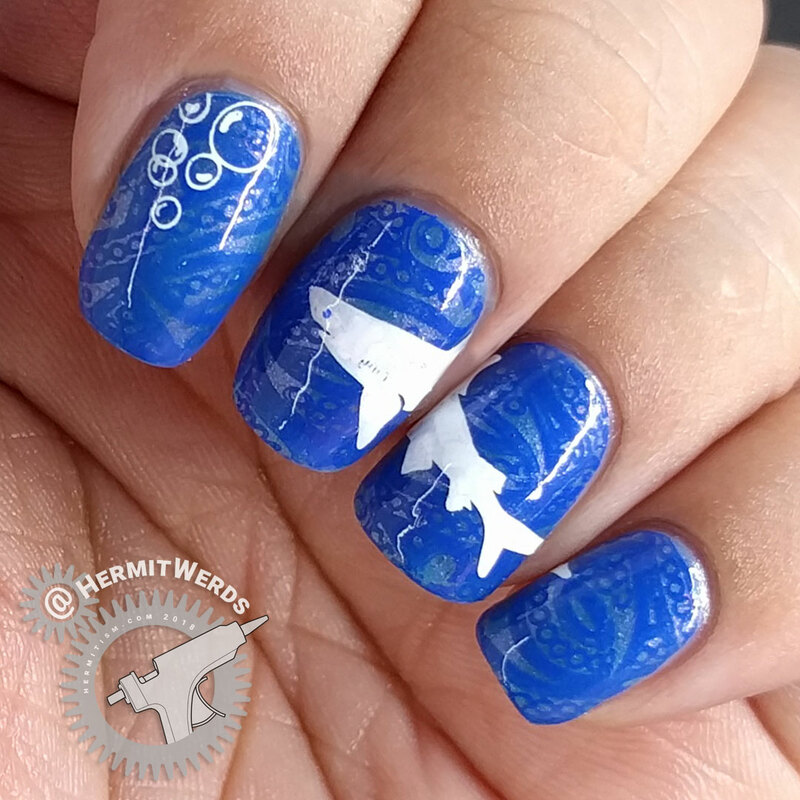 It is the stickiest stamper I’ve ever used and I’m trying to figure out how to get the best results from it. I really needed a bigger stamping head because, while I have two clear stampers that are just as large, I don’t get good results from them (dry climate). 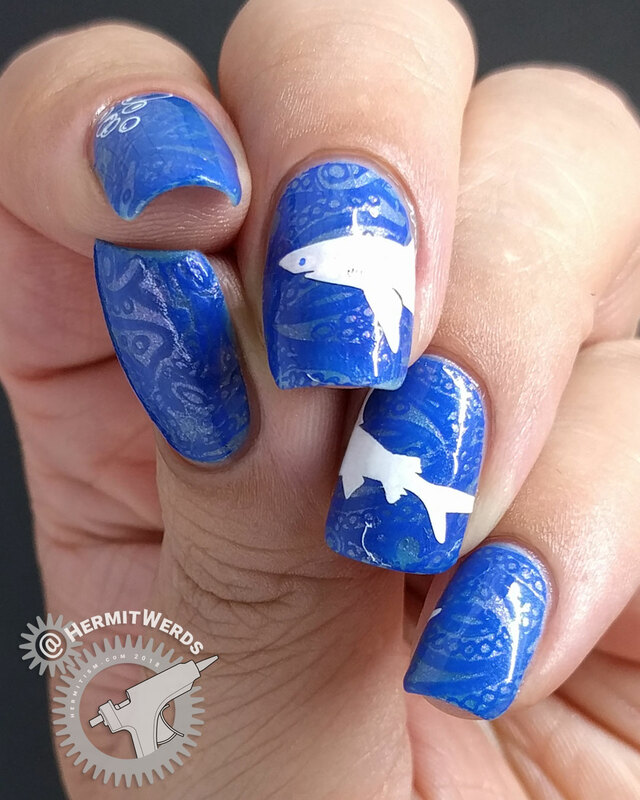 With it, I was able to pick up the entire shark in one go. However, it didn’t pick up all the polish so I had to go back and fill in parts. I think it’s because I was too heavy handed. I’m going to experiment more and you’ll get the review once I’ve figured it out. And here’s a shot with just the background. I love how it worked out. Sinful Colors’ “Peri-twinkle” is such a lovely shifty polish and that really works well under the neon blue creme.